Showing 51–60 of 50,208 items. Stunning one of a kind collector item. 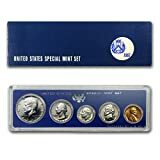 Keep this with your challenge coins, medallions, pendants, charms, rosary and other valued religious artifacts that commemorate important people such as St. Cecilia, St. Francis Anne, St. Peter, St. Christopher, St. Michael, St. Joseph, St. Mary, St. Bernadette, St. Therese, St. Nicholas, St. Anne and the rest. 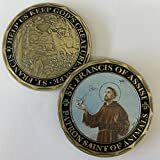 Beautiful and unique design with St. Francis on the front with some birds The back is stamped and engraved with animals and the statement HELP US KEEP GOD'S CREATURES SAFE, ST. FRANCIS. Authentic look & feel. 38mm x 2mm. Comes in plastic case so your coin will always be brilliant next to your rosary. Follow your Journey to the Heart. Catechism of the Seven Sacraments. Catholic Books. EXQUISITE CRAFTSMANSHIP. These coins are made with care and love, filled with bold enamel colors, and polished for a look you'll be proud to showcase. Satisfaction Guaranteed. AMEN! The perfect gift to all Catholics. Give to your teachers, priests, friends and family. AMEN! WHEAT CENTS - 10 wheat cents dated between 1909 and 1958. These wheats will include at least one from the teens, one from the twenties and one from the thirties along with a steel penny. 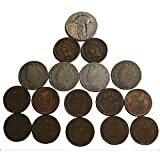 LIBERTY NICKELS - Includes 4 full, readable date V-Nickels from 1883 to 1912. As a bonus we will also include a full date Buffalo nickel. 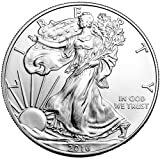 WALKING LIBERTY QUARTER - minted from 1916 to 1930. 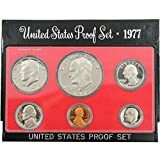 Your collection will include on from 1925 to 1930. Obverse: Bears the Jody Clark likeness of Her Majesty Queen Elizabeth II and the face value. Face value of $1 (AUD) is fully backed by Australia's government. 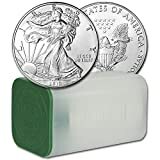 Eisenhowers were the first dollar coins issued by the Mint since the Peace dollar series ended in 1935. 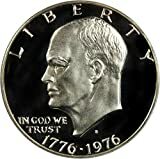 The Apollo 11 mission insignia served as the basis of the Eisenhower dollar's reverse! Comes in Original Government Packaging! Proof coins are struck twice using specially prepared dies and planchets delivering coins with mirror-like finishes and exquisite details. 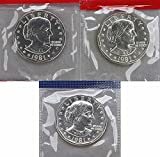 Proof coins are struck for collectors and never released into circulation. Makes a Wonderful Gift! 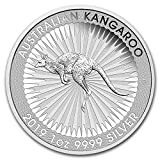 - A Great Addition To Any Coin Collection!